Does your institution really need a new LMS? Home > Does your institution really need a new LMS? Ah, the much-maligned learning management system, the technology we collectively love to hate . It’s often bulky, either feature bloated or feature wanting, and has been created seemingly without hiring any user experience designers. For years we’ve been wanting to get rid of it. No one actually likes it. Instead, we propose innovative solutions beyond the LMS -- a future learner-centered technology ecosystem that lies just beyond reach. It is a post-LMS world that we search for , with best-in-class integrated solutions -- an educational apptopia. But this post-LMS world remains elusive. It has not become a reality, and for good reasons that we’ll explore later on. Maybe there is a middle path. Maybe we could evolve our ecosystems incrementally, with the LMS. This defense of the LMS is a proposal for a pragmatic path forward. The Next Generation Digital Learning Environment  vision proposed by Malcolm Brown, Joanne Dehoney and Nancy Millichap has been the point of reference for most recent conversations surrounding this improved, learner-centered, technology-enabled future. This concept is based on five domains: interoperability and integration; personalization; analytics, advising and learning assessment; collaboration; and accessibility and universal design. The NGDLE is an innovative framework from which to conceptualize a more dynamic learning ecosystem. Many groups have worked to bring this future closer to reality: Educause  through thought leadership, IMS Global  through the creation of open interoperability standards and WCET  by facilitating the conversation. There have been innovative projects like TEx  from the University of Texas System, focusing on a user-centered mobile-based experience; the app store  at the University of North Carolina campuses; and systems designed exclusively for CBE like Brainstorm by Ellucian  (since closed), Sagence Learning  and Fidelis’s learning relationship management  (LRM) solution. There have even arguably been some success stories regarding a post-LMS world. Western Governors University, an online-only institution, has eschewed the LMS in favor of an extended Salesforce platform and use of curated courseware. These examples are atypical. Most colleges and universities prefer to stick with a traditional LMS . It may be cost, it may be the challenge of overcoming inertia and a feeling of LMS-related powerlessness, it may be lack of internal development capacity. It may be a lot of things, but the practical fact remains -- most colleges and universities rely on LMSes, and few wax poetic about their LMS. Why is there this dissonance between what we in ed tech largely agreed was needed years ago and what has been realized in colleges and universities? Engaging in large-scale system changes that involve students and faculty members is difficult, time-consuming and expensive. Many institutions do not have adequate funding to cover the cost of running concurrent systems. Most LMS moves in the past five years have been precipitated by the deprecation of other LMSes like Angel  and eCollege . A few of these changes have been effected by statewide discounts on specific LMSes or other variables like membership in the Unizin consortium . 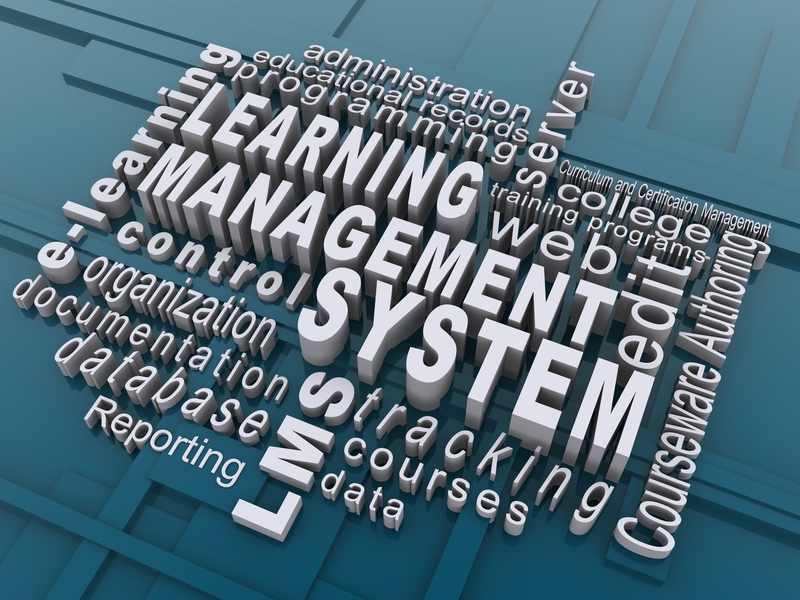 I propose that institutions should evolve with the LMS. There are functional groupings in the learner experience -- categories like grade-book management, assignment submission, testing and quizzing, content management systems (CMS) or preferably learning object repositories (LOR), and content authoring tools. Social engagement tools are needed, as are content curation and collaboration spaces. All of these functional groupings can be plotted in reference to whether the LMS has those native features or whether the system would need to be extended to support them, and whether the LMS supports that functional grouping in a shallow or deep way. Once plotted, institutions would be able to evaluate LMSes, or other systems, from a needs-based perspective. What fits the institution’s environment best? Extension in a specific categories? Usage of functionality in the system not yet leveraged? A genuine need for a new LMS? If there are functional groupings that a given institution knows it wants to use in a deep capacity, that institution will want to look for an LMS that has more of that functionality native to the system. For needs that may be deeper, and which the LMS does not support well, that is where the system would intentionally be extended. Institutions should then avoid like the plague extending their LMS to get shallow functionality, particularly that which is rarely used. “Shiny new object syndrome” should be avoided at all costs. Sasha Thackaberry is assistant vice president, academic technology and new course models, college of online and continuing education at Southern New Hampshire University.